For a complete list of our services, contact us today. 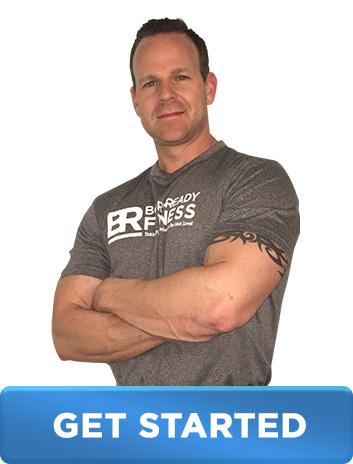 We would like to offer you a unique opportunity, one that develops a long-term successful fitness program in line with your personal goals that is also sensible, functional, and valuable in achieving greater health and longevity for life. Consider our in-home personal training program. No gym time? No problem. You can get in top shape and achieve all your fitness goals in the comfort of your own home. Don't worry, little to no equipment is required. In fact, our trainers are certified fitness professionals and can choose everyday pieces right in your own home that are not only effective, but can be multifunctional in helping you target your entire body, while increasing strength, stamina, flexibility and build endurance - whatever your goals may be. We offer consistent support and motivation throughout the entire time we are working together, and we design the best workout routine for your fitness level and goals. Prepare to be educated on how your body functions and how to train it in a safe effective manner to achieve the results you want. Call for more information. Stay fit. Be healthy together. BRF offers family-centered training for parents and children 6 and up. A lifetime of experience makes us uniquely qualified to help you and your family become healthy together. Let us share some of our valuable experiences and help you and your family transform your lives through approachable, practical, and realistic fitness training goals! BRF will be a dedicated partner in your family's quest for a healthier lifestyle, and we'll serve as a liaison between you and your family's healthcare practitioner. We offer you unique flexibility by allowing you to train at home or in our facility, and we promise the highest degree of personal and ethical professionalism. Call for more information. We, at Born Ready Fitness , know that every athlete, regardless of sport, needs to achieve their highest level of performance. Critical athletic fundamentals such as speed, agiltiy,quickness, strength, explosive power and movement mobility are the foundation in which athletic performance is built. BRF will teach you these performance enhancement fundamentals through unique and scientifically based training methodologies that are designed to improving your foot speed, agility, quickness, jumping ability, straight ahead acceleration, lateral speed and often overlooked deceleration. Every athlete, regardless of sport, gender or age, needs to consistently train and/or enhance these critical fundamentals in order to fulfill their athletic potential. Functional speed, agility, quickness, strength, explosive power and movement efficiency training results in better athletic performance. Call for more information.